I am honoured to be invited to deliver the keynote address at the 2017 Research Symposium of Sri Lanka Institute of Advanced Technical Education, popularly known as SLIATE. It is both encouraging and promising that SLIATE has organised this symposium, assembling researchers on many subjects together here. It also has chosen an apt theme for the symposium, namely, ‘Prosperity through Research and Development’. It is both timely and opportune, given the thrust of the present government to convert Sri Lanka into a high-tech based economy linked to the rest of the world to deliver prosperity to its people. I congratulate the organisers on the enterprise they have shown in bringing it to a success. Research adds to knowledge and knowledge is a prerequisite for delivering prosperity to a people. As the Oxford historian, Yuval Noah Harari has documented in his book, ‘Homo Sapiens: A Brief History of Humankind,’ humans have advanced from one stage to another through the development of new knowledge. How does new knowledge come about? It starts by challenging the existing knowledge. Then, new views are formed by people. Those new views should then be tested against the phenomena which they observe in the real world. The observations should be rational, meaning that they should be free from biases or prejudices. Once a sufficient number of observations has been made, people can make inferences about whether the new views are supported or refuted. The pre-historic Homo sapiens as well as their successors in the agricultural, and later industrial and now digital, revolutions followed this process almost every day with respect to everything that they did. This takes me back to 1959 when Vidyodaya University was set up. Its founding Vice Chancellor, Weliwitiye Sri Soratha Thero, addressing the first batch of students, is reported to have left a key message with them. He is reported to have advised them that they should be critical, probing and challenging. However, the working on this piece of wisdom should be in the reverse order. Thus, the wise should set about creating new knowledge by challenging the existing knowledge, probe into it by seeking evidence for and against it and then take his own critical stand on the issue. What this erudite Buddhist priest has left to posterity has been a universal truth. Human wisdom progresses not by agreeing but by disagreeing. This was aptly presented by the Buddha in Kalama Sutta when he said that one should not accept anything simply because it is acquired through repeated hearing, tradition, rumour, scriptures, surmise, axiom, reasoning, pondering or from learned Gurus. Acceptance should be done when one finds that it is blameless and it leads to general goodness. The 11th century Arabic philosopher Ibn al-Haytham advised scientific researchers in a more cogent manner as follows: “The duty of man who investigates the writings of scientists, if learning the truth is his goal, is to make himself an enemy of all that he reads and … attack it from every side. He should also suspect himself as he performs his critical examination of it, so that he may avoid falling into either prejudice or leniency”. Thus, a researcher should be outside the system, looking at it as an outsider and not as one of its cohorts. Therefore, conducting research is not an easy task. It requires the researcher to stand on the top of a mountain and extricate herself from the rest of the crowd. That extrication should be with respect to their beliefs, values, knowledge and wisdom. If she is one of them, she cannot see beyond what others see. She will simply be a follower imprisoned in a frame which others have set for her. If she is to add new knowledge, she should be free from biases or prejudices. This requires a researcher to be impartial, impassioned and objective. She should not attach herself to her own beliefs. If evidence, gathered through an objective process, does not support her view of the world, she should be ready to throw it out. That requires discipline, humility and humbleness on the part of researchers and they are the foundation of the scientific inquiries. The cultivation of these attributes in oneself is difficult, but not impossible. Robert M. Pirsig, American Philosopher-Academic, argued in his fiction ‘Zen and the Art of Motor Cycle Maintenance,’ that everyone who follows the method of questioning, probing and then coming to conclusions is a scientific researcher. For example, consider a sideway motorcycle mechanic. When you take a faulty motor cycle to him for repairs, he would form an opinion about where the fault lies, starts testing that opinion with evidence he collects by examining the motorcycle and if the evidence does not support his opinion, he throws it out. Then, he begins a new testing by going through the same procedure. He would continue to do so until he finds where the fault lies and what should be done to rectify it. Thus, throwing out an idea which one has held very dearly if evidence does not support it is not a disgrace at all. Rather, it is a part of the modern scientific inquiries that help mankind to come up with better solutions. Now back to the theme of the symposium. Sri Lanka is at a crossroads today with respect to creating prosperity for its peoples. It is thriving to break a barrier which has effectively pushed it back to the status of a developing nation. It was a developing nation at the time of independence. It is a developing nation today even after the lapse of some seven decades. Of course, Sri Lanka has made small gains during this period. But they have been too small compared to the big gains which its peers have made all these years creating an ever-widening gulf between Sri Lanka and those nations. Should it remain a developing nation in the next seven decades too? The answer is that it is not the aspiration of this nation. If it remains so, the social, political and cultural frustrations with which Sri Lankans would be afflicted will certainly lead to chaos that would impede its growth further. Hence, the present Government has as its vision to see Sri Lanka a rich nation within the time-span of a generation and has pledged to lay foundation for same now itself. The prosperity of the world today comes from the advancement of human knowledge and wisdom. The knowledge too changes day after day and a nation should be flexible enough to acquire new knowledge if it is to remain on top continuously. Thus, at the turn of the new millennium, the Singapore authorities instructed all universities and higher learning institutions to concentrate on only four areas which they thought would be the future of the world. They were genetic engineering, information and communication technology, nanotechnology and entertainment. The wisdom of Singaporean authorities was that if any nation has mastered in these fields, it would be the master of the world in the future. At that time, only a few western countries had earned that qualification. Hence, Singapore wanted to jump their bandwagon and be one of the future masters of the world. Accordingly, it provided liberal funding to universities to undertake research in these fields in collaboration with the best of the best universities in the world. Today, Singapore is a giant in this region in these fields. Of course, since then, there have been many new fields that have been added to this list and it is ever-growing as demonstrated by the list of disruptive technologies catalogued by the World Economic Forum every year. For Singapore which has gone halfway in becoming a new scientific nation, it is easy to add on to the list of new fields. For Sri Lanka, which is not even aware of these new developments in the world, the challenge is to make a new start altogether. That can be done if Sri Lanka could collaborate with other nations in creating a new research and scientific culture. The government’s plan is to create prosperity for people by moving from a simple technology based nation to a complex technology based nation. The present production model in the world is not to produce a whole product in a single country. Instead, many nations collaborate with each other to bring out a product today. Thus, no nation has a single ownership for a product today, though the tag attached to it may attribute to a single country. Take for example the iPhone which is assembled in a factory called FoxConn in China. 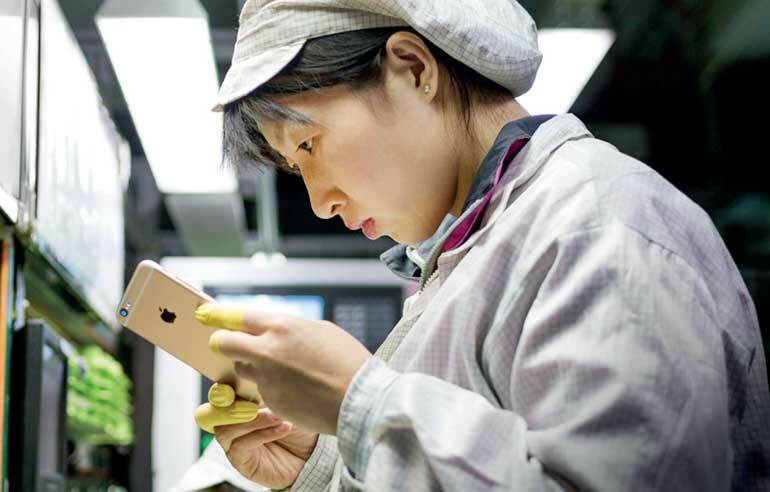 The parts for iPhone come from 740 odd production facilities scattered throughout the globe. They are connected together via a new production and distribution channel called ‘Global Supply Chain’. But the appropriate term, according to Sri Lanka born economist Prema-chandra Athukorala, is ‘Global Production Sharing’. What it means is that the whole globe today functions as a single production unit and shares its prosperity. Nations which can join this chain will be winners. Others will simply remain laggards. Sri Lanka’s choice today is to join the first category and not the latter. Hence, all the research which universities, other higher learning institutions and research institutes conduct should be aligned to this goal of the nation. For that, there is no need for them to wait until the government issues instructions. They should make an assessment of where the nation stands today, where it wants to go and how that migration should be done. Annual research programmes, conducted by students or teachers, should be based on this requirement of the nation. Universities should lead the markets and not follow them. There is of course some encouraging news about Sri Lanka’s entry to global production sharing network in a small way. One Sri Lankan start-up firm, Lanka Harness, has captured the whole world market in the supply of sensors for airbags in motor cars. Another established firm, Brandix, is supplying canvass clothes for Nike shoes. This is a good start but not sufficient to create prosperity to Sri Lankans on a sustained basis. There should be thousands of such firms supplying variety of such products to global production networks if Sri Lanka to become a rich nation in the next 30 to 40 year period. Research should be geared to identifying what new products which Sri Lanka can produce and how existing products could be further developed to supply as completely new products. Let me elaborate on this second point by taking Sri Lanka’s tea industry as an example. Tea was introduced by British planters to the country as a beverage and created a market for it by using ingenious marketing methods. I recall seeing in the London Museum a grocery store of mid 19th century London displaying a bill board coaxing people to ‘Drink Ceylon Tea, the Brain tonic’. If the message is true, Sri Lankans who are addicted to tea should be the brainiest people in the world. But that was how the brand name Ceylon Tea was established in the minds of European consumers. But today, with stiff competition from other beverages, tea has a limited success as a beverage. Recall the foresight and strategy pronounced by the Chairman of Coca Cola Company, Roberto Goizueta, in a sales representatives’ convention in 1986. He declared: “Right now at this point in time in the United States, people consume more soft drinks than any other liquid, including ordinary tap-water. We’ll take full advantage of our opportunities. Someday, not too many years into our second century, we’ll see the same wave catching on markets after markets on to eventually the number one beverage on earth will not be ‘coffee or tea or wine or beer’. It will be soft drinks – our soft drink.” So, all resources at the command of Coca Cola were diverted to make it the number one beverage in the world by targeting the young people. Ceylon tea which did not have such a strategy has now lost the war to soft drink manufacturers. Thus, the rescue of tea should be not as a beverage but as an industrial raw material. For that purpose, research should be conducted to identify and extract various chemical components of tea which can be used in the pharmaceutical, beauty-care and healthcare industries. India has already got patents for more than 100 odd perfumes manufactured out of tea. However, in this game, Sri Lanka is a late beginner but like all late beginners, it can learn to walk faster than others. Let Sri Lanka make this beginning by concentrating on research on what the nation needs and not what the researchers want to conduct. The SLIATE research symposium is one such beginning. For the time being, it has been confined only to those on its academic staff. But that need not be the case in the future. Its staff can benefit immensely if they collaborate with researchers in other places and do joint studies.